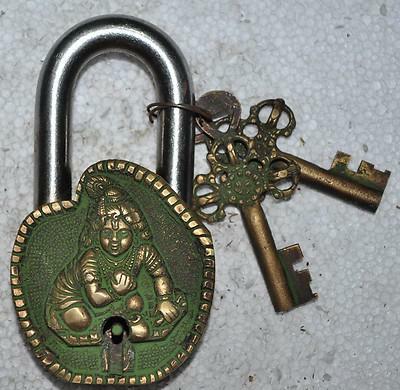 There are a great number of inexpensive new padlocks imported from India and then altered to represent antique or vintage padlocks which are resold as genuine collectors items. 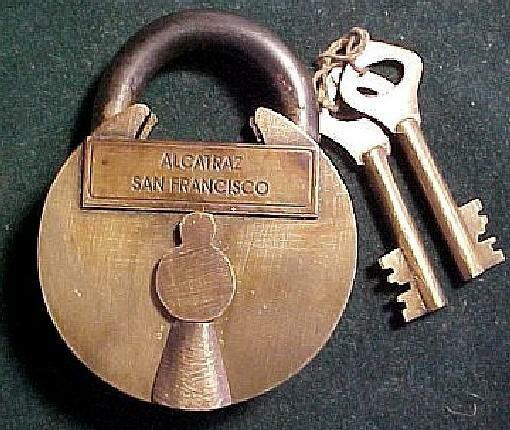 A common method used to alter these cheap import locks, is to attach a small plate, usually on the front, with inscribed names of known companies or institutions. 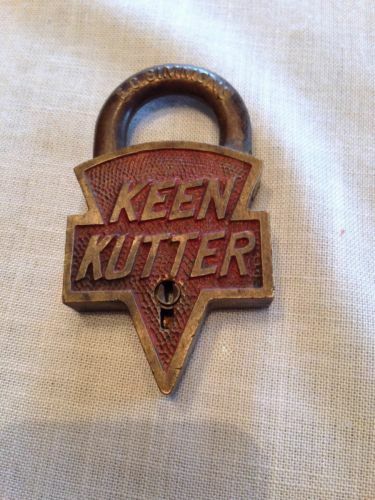 This gives the locks an appearance of being officially produced by or for the company named. Some examples are shown bellow. 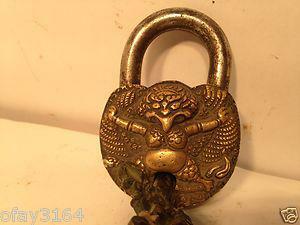 Another common variety of currently imported padlocks, also mainly coming from India and China, are actually nice looking but are not antiques as reported, The locks from India are mainly cast and show fantasy and mythical creatures, or historic figures. 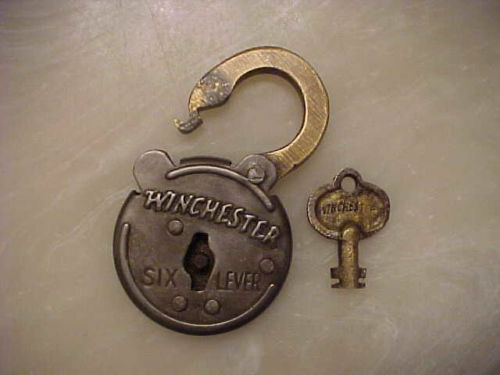 Shown below are several examples of these locks. A very clever method being used to market fake antique padlocks involves reproducing actual antique padlocks that were once made in the U.S.A. These are usually cast or stamped in the shape and design of the originals and sometimes even fool the advanced collector. The following examples demonstrate the difficulty in spotting these types of frauds. The current primary distribution mechanism for the fake padlocks is web based. A number of websites offer these for sale, and many attribute them correctly as new or reproduction items. 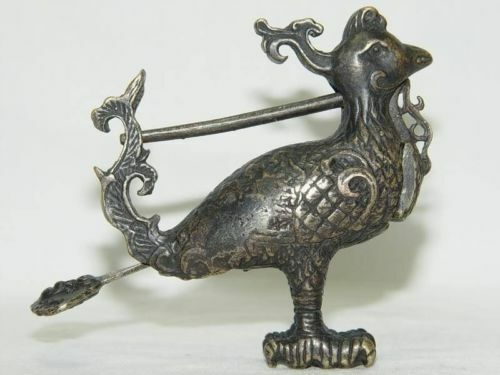 The problem for collectors is that after these are purchased some are resold on the secondary market as genuine antiques, and even experienced antique dealers and collectors are fooled. 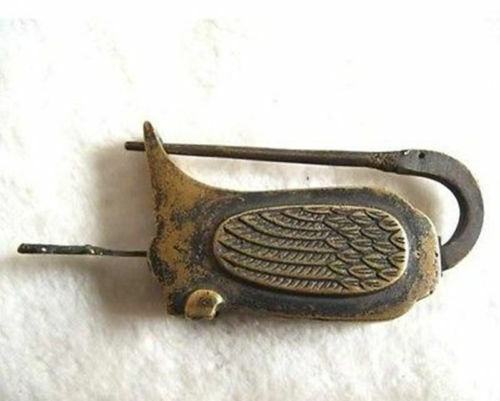 Such locks are commonly misrepresented on Web based auction sites such as Ebay and at flea markets, antique shows and shops all over the country. 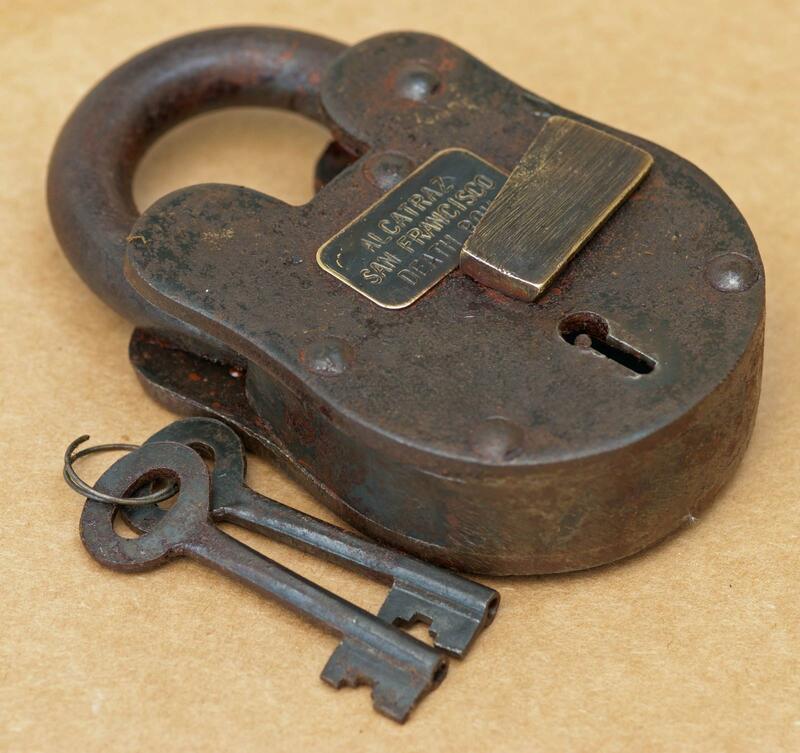 Only after very careful examination and attention to detail as well as knowledge of patent dates and other subtle markings on original antique padlocks can the average collector tell the difference between fraud and original. 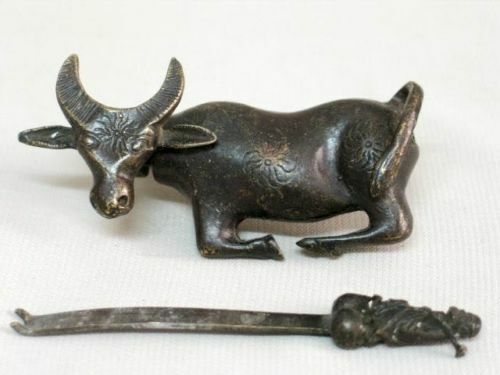 For a beginning collector these fake antiques are especially difficult to spot. 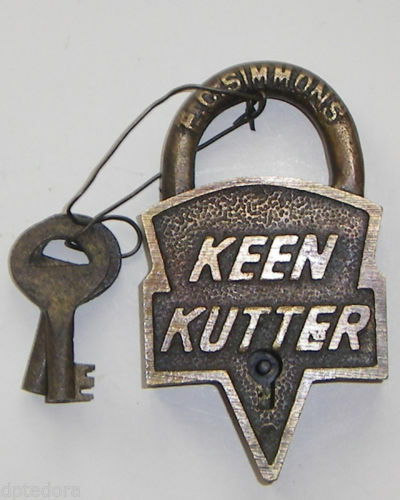 Often, a good giveaway to the fact that they are not genuine antique padlocks is that they are sold with what appear to be two or more original keys. 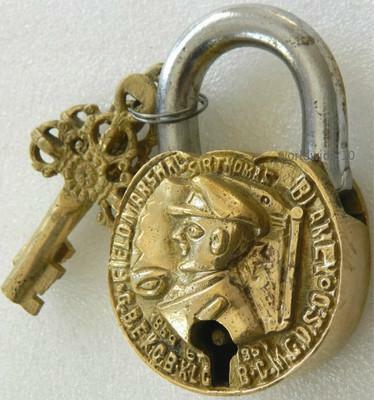 Antique padlocks can occasionally be found with an original key, but it is extremely rare and unusual to find one with two or more of its original keys. 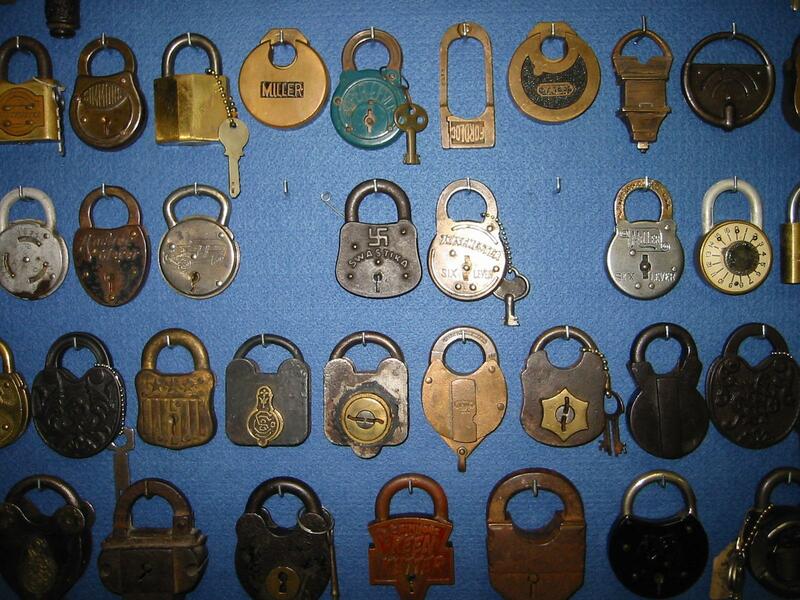 Also once a collector gathers experience and knowledge in acquiring padlocks, examining the finish of a lock, sometimes referred to as patina, knowing the type of locking mechanism and key used in certain antique locks are additional helpful guides in determining a true antique. These new padlock fakes can in themselves be collected. However, the important point is that they should never be misrepresented as true antique or vintage items.